I recently watched Tron with my friend Nick, the first time I had seen the movie in a very long time. I was really blown away by the movie: the visual style style was absolutely gorgeous, the story being much more curious than I remember, and the music and sound effects were fantastic. “The Making of Tron” documentary, included on the DVD, was also very interesting to watch as it really shows how groundbreaking the movie was in its production. I don’t think I even knew who Wendy Carlos was when I first watched the movie. 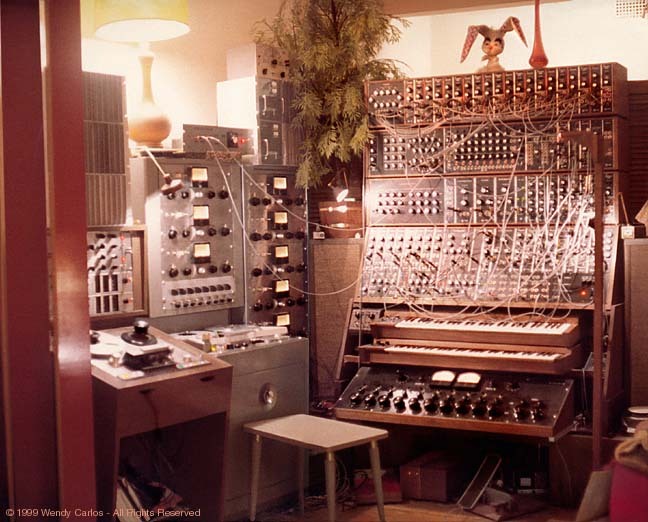 The music and sounds from the movie really made quite an impression on me… I’m listening to the soundtrack now and find the timbres that Wendy Carlos used to be so rich and organic, the blending of the digital, analag, and natural instruments done so tastefully. I’m definitely interested to go back and listen to more of Wendy Carlos‘s music with this fresh perspective.